Oh, the wonders the 21st century affords! 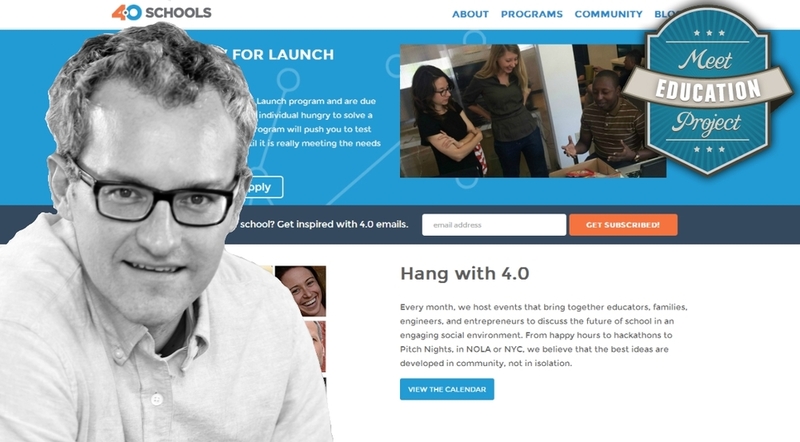 A couple days ago I became aware of blankschools.com: a support program for schooling entrepreneurs. Schools as they exist today aren't working for anyone — students, teachers or the world they live in. We need radically different school models — and to get there, we need a radically different approach to school model development. Designing and running a school focused on questioning the assumptions schooling is currently based on is hard work. You shouldn't have to do it alone. Join a cohort of school entrepreneurs who can help push your thinking and be a support network as you all work to design radically different school models. I'll need to know more about how they work, of course, but their deadline for the 2015–16 cohort is today (! ), so I figured I'd apply, and wait to find out whether or not I'm accepted to make my decision. They asked for a 2-minute video, and what I gave them runs 6 minutes. Alas! To quote Pascal: "I would have written a shorter letter, but I did not have the time." My apologies, schools folk! If you've an interest in how we're making our schools, you'll find this interesting! I threw the video together (obviously?) but I do have interest in improving my online speaking style. If you've any advice, do please shoot me a private e-mail with it!